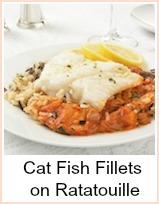 Catfish is often known as rock fish, rockfish, rock salmon or rock turbot. 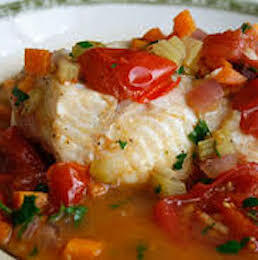 Here are a couple of rock fish recipes, one casseroled with cider and one with tomatoes. 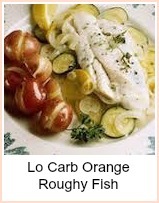 It is a firm white fish and can be substituted for any recipe using cod, haddock, basa fish and similar. It is quite meaty but not overly strong, so is a popular fish for children. Both of these recipes give you a generous amount of sauce. Serve them with some boiled new or sauted potatoes and some fresh veg - try carrots, broccoli, peas or cauliflower - one or a mixture. Alternatively, some jacket potatoes or just some crusty bread to mop up the sauce. Take an ovenproof and flameproof casserole dish, heat the oil and fry the onion until softened. Add the mushrooms and coat in the oil. Place the rock fish in the pan and pour the cider over. Bake in the oven for about 20 minutes until the fish is cooked. Remove the fish fillets onto a serving dish and stir the creme fraiche into the cider sauce. Pour the sauce over the rock fish and serve immediately. Heat the oil in an oven and flameproof casserole dish and fry the onion and garlic until soft. 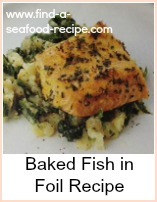 Add the rest of the ingredients and bake in the oven for about 25 minutes until the fish is cooked. 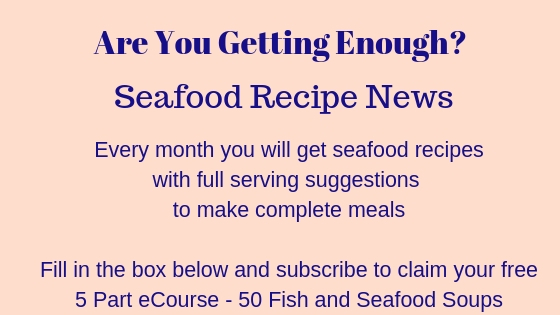 I hope you enjoy experimenting with rockfish recipes, they are easily adaptable to any type of fish fillets that are available to you on the day.